On Saturday 23rd August, three members of Derbyshire Green Party took part in a March and Rally in support of Palestinians in Gaza. The Palestine Solidarity Campaign (PSC) campaigns for peace & justice for Palestinians and had called for a national weekend of support. PSC represents people in Britain from all faiths and political parties, who have come together to work for justice for the Palestinian people. Taking up this call, the March in Derby had been organised by Derby Peoples Assembly with the Stop the War Campaign, Trade Unions, and other groups. 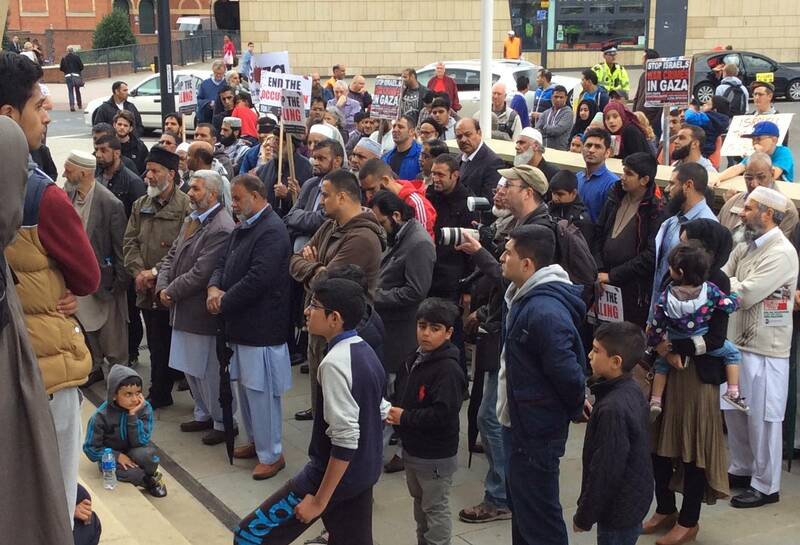 Two hundred people, including many children, gathered outside the Jamia Mosque in Normanton and then marched through Derby streets to the Council House. On the steps of the Council House we heard speakers from a range of organisations, unions and faith groups. These included the Imam from the Jamia Mosque, Derby North MP Chris Williamson, Councillor Ranjit Banwait leader of Derby City Council, a speaker from the Derby Branch of the Indian Workers Association, Peter Robinson from Derby People’s Assembly and Liz Potter from Derby Against the Cuts. 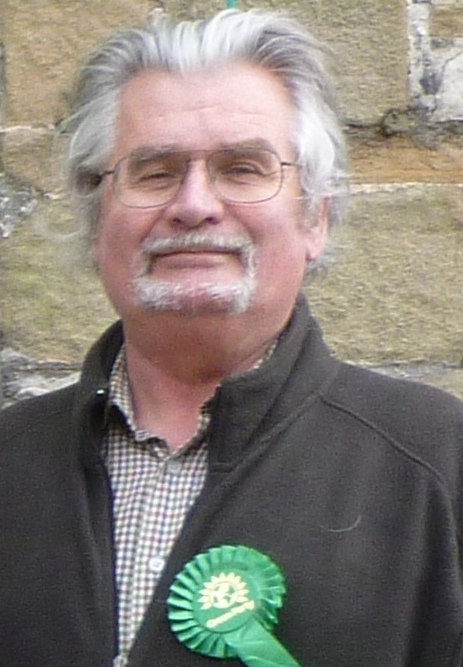 John Youatt, an active member of Derbyshire Green Party, added his message of support. I believe the clearances of Palestinians’ from their homeland and the subsequent sixty years of repression, is the main cause of friction between Arabs and the west. 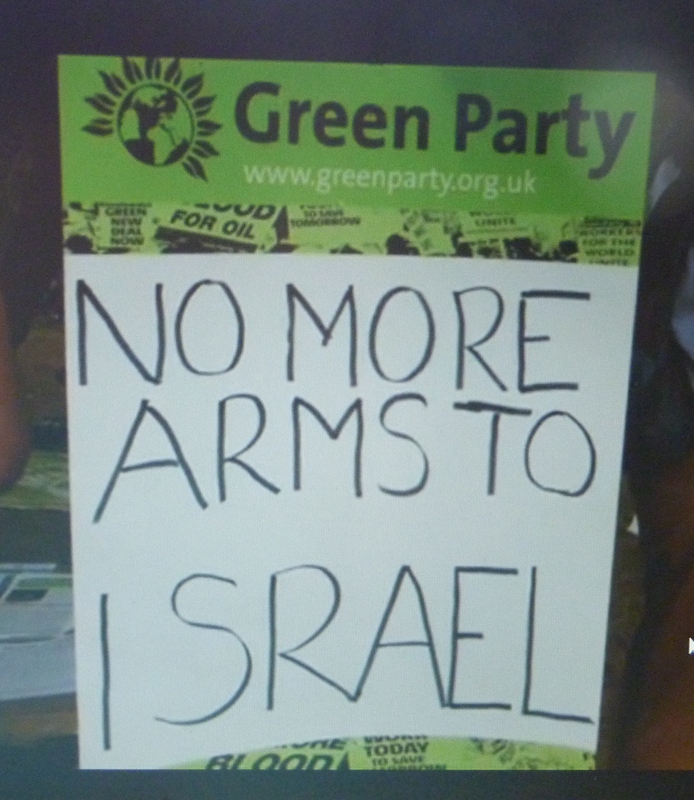 The Greens have supported justice for Palestinians for many years, for example calling for an end to arming Israel and an end to the occupation. On 5th September, at the Greens’ Autumn Conference in Birmingham, 90 precious minutes have been allocated for discussion. A draft emergency motion might go forward. See below. The motion, if agreed, will urge more resources for our campaign. For me, the heart of the matter is to help the USA Greens to change hearts and minds among young Americans. There are signs this might be possible. It will take years of determined effort and international support, but it can be done. “Conference condemns Israel’s ground invasion, aerial and marine bombing of Gaza, and calls on Green Party and Green Party elected representatives to take what steps they can to put existing Green Party policy into action and to ensure that the underlying causes are addressed, acknowledging there can be no lasting peace without justice. • Supporting these calls by active participation in the Boycott, Divestment and Sanctions campaign. This campaign aims to put pressure on the government of Israel to end the Occupation and to give equal rights to Palestinians. The campaign asks individuals, organisations, councils and governments to refuse to deal with companies and institutions identified as facilitating Israel’s military capacity, human rights abuses or illegal settlement activity. This entry was posted in Derby, Derbyshire County, Equality, International, Issues, National, Peace & Human Rights and tagged Derby, foreign policy, Gaza, Green Party, Israel, Palestine. Bookmark the permalink.